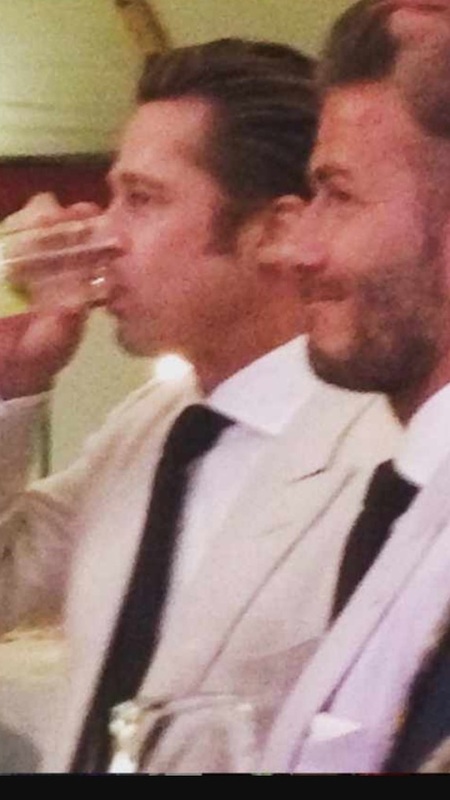 Brad Pitt Drinking Jam Inns Ice Sat Next To David Beckham At Guy Ritchie Wedding.. Yeah That’s Cool! Posted October 22, 2015 by Maloney & filed under Ice. Jam Inns Ice supply a lot of weddings with ice. Every weekend we’ve got a large number of wedding parties booked in for ice supply, sometimes from the private individuals for small weddings & often by the event organisers & bar operators at the larger ones. Earlier this year over the summer we got an order in for a special wedding in Wiltshire for a wedding party. This wasn’t a normal wedding party, I actually did this delivery myself & turned up onsite at Ashcombe House, Guy Ritchie’s home. The estate is one of the most beautiful homes in the South West & there wasn’t many A listers not onsite. Guy Ritchie was getting married to his beautiful bride to be Jacqui Ainsley. Jam Inns supplied the ice for the wedding & when arriving onsite it was clear this wasn’t your normal wedding. Temporary Helicopter pads in the garden.. I’ll point out the garden is 1,200 acres! A few of our colleagues that run VIP events at Glastonbury also were onsite providing accommodation needs of the guest in pop up tents in one of the fields near the house. 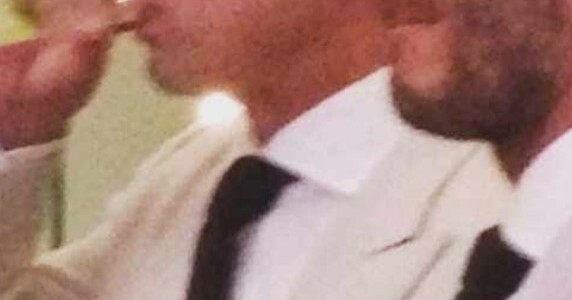 Brad Pitt, David Beckham, Jason Statham, Rosie Huntington-Whiteley, George Clooney were just some of the guests enjoying Jam Inns Ice at the wedding. Our customer portfolio is very diverse we have celebrity clients, national & global chain operators, small independent businesses, small private parties to globally renowned festivals. At our core it’s simple… we supply ice! but a lot of people would be quite surprised at the diverse needs & requirements of ice in our day to day lives.